LIVERPOOL captain Steven Gerrard made his 500th appearance for the Reds on Saturday – but he was told he wasn’t needed for Tuesday night’s trip to Hull – not even as part of the travelling party to give some encouragement to his squad mates in the dressing room. He wasn’t wanted. He clearly isn’t the force he once was on the field but as a player who lives and breathes Liverpool – or did – he really should have been there if Liverpool really were looking to capitalise on the favour Everton did by beating Manchester United. He wasn’t there and he’ll be puzzled as to why. The Reds’ defeat to Steve Bruce’s side was the latest in a season of disappointments for Liverpool and the captain will have felt those disappointments as keenly as any supporter, including those who normally travel all over the country to see the Reds but stayed away on Tuesday in protest at the spiralling cost of match tickets. Gerrard’s Liverpool career comes to an end this season as he moves to pastures new for MLS side LA Galaxy, a decision he made after Liverpool apparently stalled on offering him a new deal, letting it approach its last six months. When he eventually did announce this would be his last season as a Liverpool player he said it was to avoid a situation where he spent more time on the bench than on the pitch. He wanted to be involved as a player as much as possible before he finally retires. He said he didn’t want to go into coaching yet, but it’s understood that’s an option that was never offered to him. Earlier on in the season it seemed that manager Rodgers was struggling with the idea of rotating his squad and Gerrard, at the age of 34, was at times playing 90 minutes of top level football three times a week in a position far from his best. It showed in his performances and it was disappointing to see a player so important to Liverpool down the years decline so rapidly. His overuse seemed to be hastening his decline. Yet if there was one game this season Gerrard would have been itching to start in it was the game against Real Madrid in the Bernabeu in November. Instead Rodgers decided to field very much a weakened team – he made seven changes from the previous weekend’s defeat at Newcastle, six of whom returned for the next game against Chelsea – and Gerrard was on the bench. Gerrard had given up his England career to ensure he could play as much for Liverpool as possible and this was exactly the kind of game he’ll have hoped to be part of. At the time it seemed very likely it was his last chance to play on a stage like that, with his own playing career getting nearer to an end and Liverpool’s approach to the Champions League under Rodgers akin to some clubs’ approach to the League Cup, so the decision to bench him for that one must have been a huge blow. Liverpool lost all three games. It turned out it was his last chance to play on that kind of stage – with just one win from six Liverpool went out of the competition at the earliest opportunity and, with all due respect, his next, and last, European away appearance at Ludogorets was hardly on that kind of level. By the time Liverpool played in the consolation competition, the Europa League, Gerrard was injured – and Liverpool went out of that at the first opportunity too. 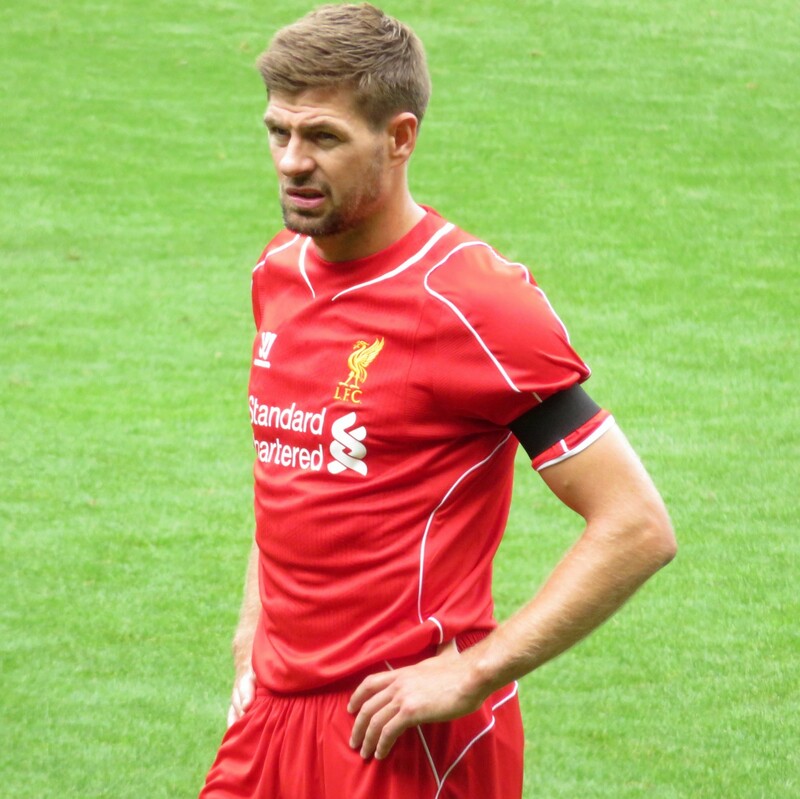 The departures, for different reasons, of the likes of Jamie Carragher, Pepe Reina, Daniel Agger and – soon – Gerrard leaves Liverpool short of leaders who will fight for a win and that has stood out time and again this season. On Tuesday night at Hull it stood out a mile, or the hundreds of miles away Gerrard was, when he could have been in the dressing room helping remind his soon to be former team mates what fighting actually means. Quite why Brendan Rodgers took so long to realise Gerrard can’t play 270 minutes of football in 7 days is one of many unanswered questions about the manager, but at least he has realised it now, at last. Speaking before the game Rodgers said of his decision to leave his captain out of the travelling party entirely: “It is very clear, we’ve three games over the course of a week and we have given him an extra rest period to get him ready for the weekend. Rodgers clearly knew it wasn’t a great idea to play Gerrard three times a week in November when he left him out of his starting line-up against Madrid – he’d written that game off and wanted his skipper fresh for the visit of Chelsea. Setting aside the way Rodgers treated the competition itself, if you can (somehow) accept that, you can accept the idea of leaving Gerrard out. So why fly him over? And why leave him at home for the trip to Hull? It’s a bit of a trek to the other side of the country, but surely not that bad? What Rodgers seemingly hasn’t yet realised is the difference it makes having a leader or two around the place. Not one of his own signings possesses that particular attribute and he certainly didn’t go out of his way to keep the ones he inherited from his predecessors. There was no fight on the pitch and you can guarantee there was none in the dressing room. Even amongst themselves. Colin Pascoe is probably a lovely man but he doesn’t exactly strike you as the man to make inspirational speeches that get the last drop of energy out of heavy legs weighed down by aching muscles. Brendan Rodgers’ speeches can probably inspire accountants to fill more spreadsheets in or telesales staff to bother one more vulnerable old person before the end of their shift but the more you think back to ‘Being Liverpool’ the more you recall that feeling of being bored out of your mind at work at the latest effort from management to engage with staff through the magic of PowerPoint. There’s nothing exciting or engaging about Liverpool any more and no matter how many times you throw the word ‘outstanding’ around it won’t polish that particular turd. There’s a good chance he’s using that word now for a bet – he must be. Jordan Henderson looks likely to get the captain’s armband next season and although he’s come out of his shell a lot since those shy days just after Kenny Dalglish signed him he has much to learn about leading a team. Lucas Leiva might be the nearest Liverpool have to a leader after Gerrard goes – if he doesn’t follow him out of the door himself. In reality Liverpool lost what fight they had left the day Luis Suarez was allowed to leave for Barcelona without anything even approaching a replacement brought in with the money his sale raised. The sheer will to win that seeped out of every pore of Suarez’s body is now helping Barcelona run up cricket scores. As if to prove there is no fight left at Anfield – infighting aside – Liverpool’s efforts to acquire a replacement for the Uruguayan ended when Alexis Sanchez’s now former girlfriend said she preferred to live in London. Ok, no problem, don’t worry about it, said Liverpool, meekly. From the owners down Liverpool have lost the will to win. Anfield is turning into a theme park, one that sells on the reputation it got from those who visited in the past rather than the product on offer in the present. As long as it sells, who needs silver? 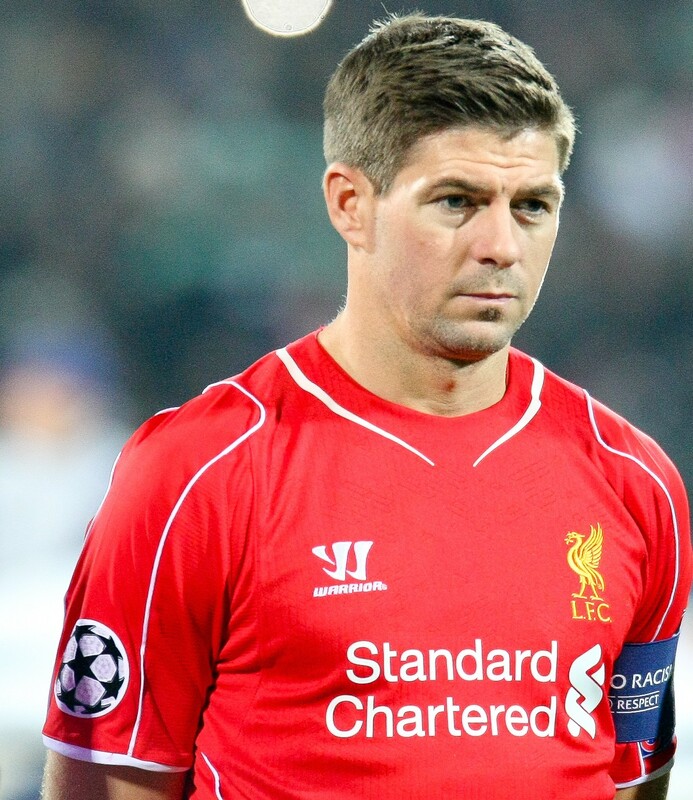 Steven Gerrard turned down offers to leave Liverpool for pastures new more than once when he was at his peak. Would he be so quick to turn them down if his peak had coincided with the Liverpool of today? Every day that goes by it’s easy to imagine Gerrard agonising over whether or not he made the right decision to head for the Californian sunshine. Then on nights like Tuesday when he’s sitting at home, cast aside and unwanted, as his beloved club limps to another defeat against lowly opposition, he perhaps remembers that he’s getting out before it really turns sour. If the captain of Liverpool, first given the armband all those years ago by Gerard Houllier, can’t inspire his team mates to look interested at Wembley in a game that could have allowed him to bow out in a cup final, it shows how immune from inspiration the squad has become. Liverpool aren’t just – as the manager seems to be claiming – a couple of marquee pieces away from completing the jigsaw unfinished for a quarter of a century. The jigsaw has been dropped on the floor again and this time nobody at the club seems to have even noticed. The club captain – of 12 years – is down to the last handful of games in his last season for the club and he’s told he’s not wanted around for a game his club are meant to be fighting for victory in. Fighting for victory – supposedly – to help them maybe salvage something from a well below par season. Instead he’s told to stay at home – meanwhile his club embarrass themselves again. The jigsaw puzzle isn’t just on the floor, half its pieces are missing and there’s no sign of them being found again.